This week the cold has really set in and December begins next week. I really do not have a clue where this year has gone! Firstly, I completely apologise for going quiet for the last few weeks. We have been so busy adding new products to the site and ensuring all your orders go out as soon as physically possible. We really want to ensure you have the maximum chance of finding your perfect lighting solution. While browsing through our fantastic content provided from our amazing twitter followers we stumbled across this article from Period Homes . They have put together a really useful article if you’re considering adding a stove to your home. 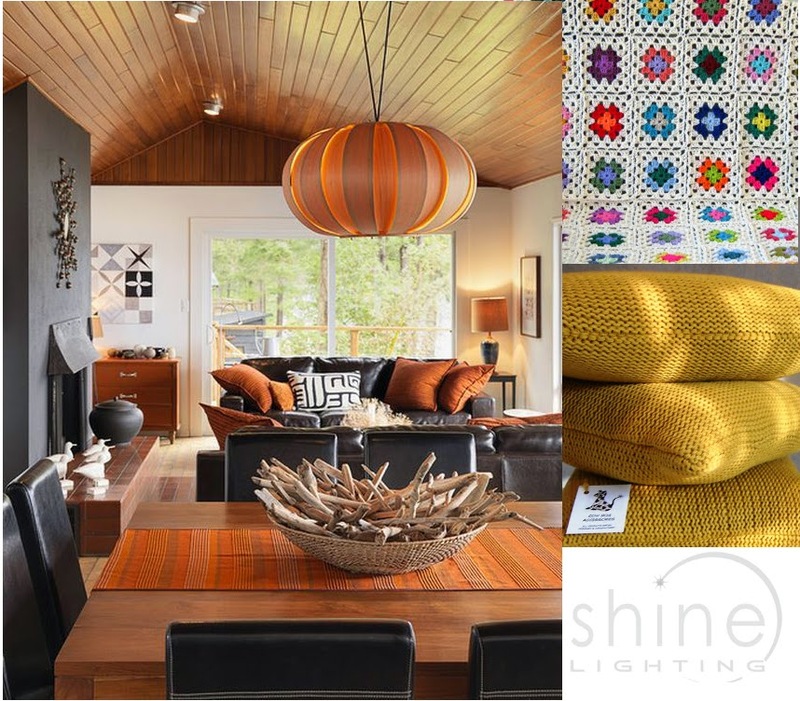 This got me inspired to put together some ideas to help you make your living room a cosy place to be. A warm space I can curl up with a book during winter evenings is heaven For me what makes a room feel cosy is comfy sofas, warm colours, blankets and candles. I’ve found a few ideas to increase cosiness without a big redecorate. For me, this room set idea (found on this homedit blog) is super comfy. The combo of the fire, the colours and the leather sofa just looks so relaxing. Personally, I would really mix up the colours a bit so it wasn’t just the orange. I’d add a few warm reds and yellows. I love these knitted pillows. I found them in @cowdogdesignuk ‘s Etsy Store. Knitted products always make me feel warm and cosy. The colour looks really warm and the cushions just look really comfy. To add to the cushions, this crocheted blanked from @sunroomuk (also another talented Etsy seller) . is a beautiful addition. I used to have one of these as a child and just looking at one makes me feel really warm. If you need some fabric and want to upgrade your curtains to match your new super comfy looking lounge give Gilroy Interiors a call. They are super talented and have some amazing fabrics. I'm already fed up of the dark rainy days stuck indoors. A great way to combat this is to add a little extra light to your room. 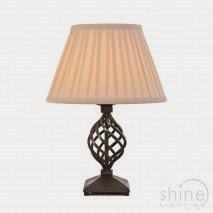 To avoid turning on the main light in the middle of the day get yourself a new table lamp. It provides a comforting extra light and allows you to get on with your day without switching all the lights on. This is one of my favourites that I have put onto the website this week – the BelfryBY/TL BLK by Elstead lighting. I’ve totally fallen in love with the base style – it looks fantastic. A complete must for me for a cosy room is a warm fire. However, if you aren’t able to add one in this year - substitute for candles. They are a great way of creating a relaxed atmosphere for an evening. If you don’t like naked flames you can also get these fantastic LED Candles (as seen displayed in our candle holders). We hope after reading this blog you feel a lot warmer than you did :) Thanks for reading! If you have any further questions about any of the lights shown please do not hesitate to contact us on 01202 601846.